BELGRADE, 10. June 2018. 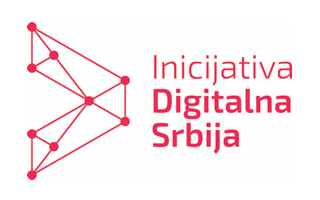 Visaris officially became a member of Digital Serbia Initiative with the aim to contribute to the development of digital awareness, technology and digital innovation in Serbia. Since 2003, Visaris has been promoting the development of the digital industry in Serbia and its DSI membership is perceived as an active way of development of both the company and community. The company intends to use its own resources in support of the activities of this advanced initiative that brought together the country’s leaders in the field of digital economy. Digital Serbia Initiative is a private, non-profit organisation leading the transformation of Serbia into a digital society. In a digital Serbia each individual will be able to realise their full potential and present their talent and innovative skills on the global market, while Serbian companies, each in its own field, will become European leaders of the 21st century digital economy. Visaris was founded in 2003 in Belgrade combining know-how and enthusiasm of young people who decided to apply their international experience and education in Serbia developing high-tech solutions in medical diagnostics. The company is unique not only in Serbia but also in the Southeast Europe region owing to its development program, design and solutions in the field of digital radiography and medical imaging. The company currently has 60 employees. By 2018, Visaris has successfully carried out over 500 commercial installations, thus securing leading position in digital radiology on the territory of Serbia and becoming one of the major manufacturers of digital X-ray machines in the world. Visaris devices are present in the USA, Cuba, Jamaica, Australia, UK, Germany, Czech Republic, Poland, Russia, Switzerland, Greece, Portugal, Montenegro, Slovenia, Moldavia, Turkey, Iran, Pakistan, India, Taiwan, Egypt and Republic of South Africa. Quality Policy: Visaris’ business fully complies with quality management systems and standards ISO9001 (General Quality Management Systems), ISO13485 (Quality Management Systems for Medical Devices), ISO 14001:2015 Environmental Management System, ISO 27001:2013 Information security Management System and OHSAS 18001:2007 Health and Safety Management System. The group of Visaris digital imaging systems for diagnostic X-ray technology complies with the EU Medical Device Directive 93/42/EEC and is eligible for the CE marking according to applied safety standards. Visaris’ devices are registered with the Medicines and Medical Devices Agency of Serbia (ALIMS) and have marketing authorization on the territory of the Republic of Serbia.